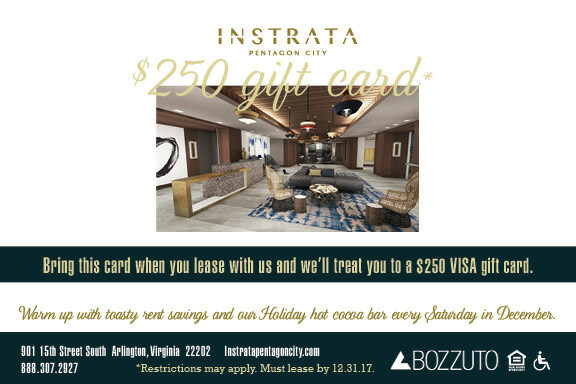 Holiday gift card was designed for property under the Bozzuto Management Company—Instrata Pentagon City. 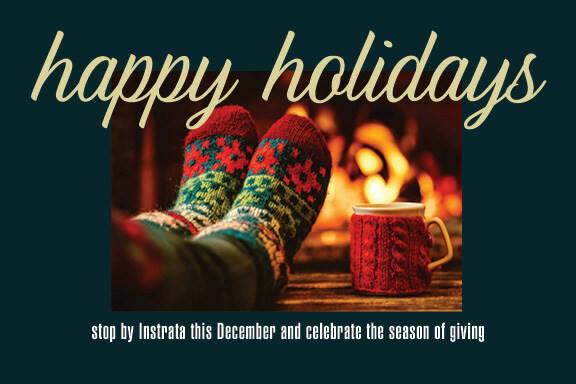 The 4x6 card was intended for shoppers around the area during the holiday season. Image shows front of card. Image shows back of card.